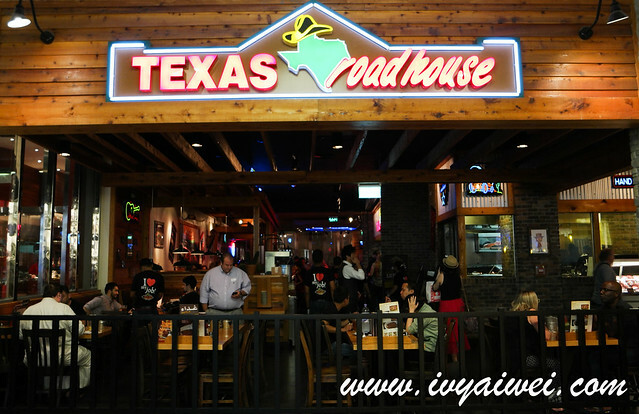 During the Alshaya Food Tour in Dubai, we get to sample the food from Texas Roadhouse. Will this come to Malaysia? Will it be listed as one of the chic restaurants in our Malaysia market? 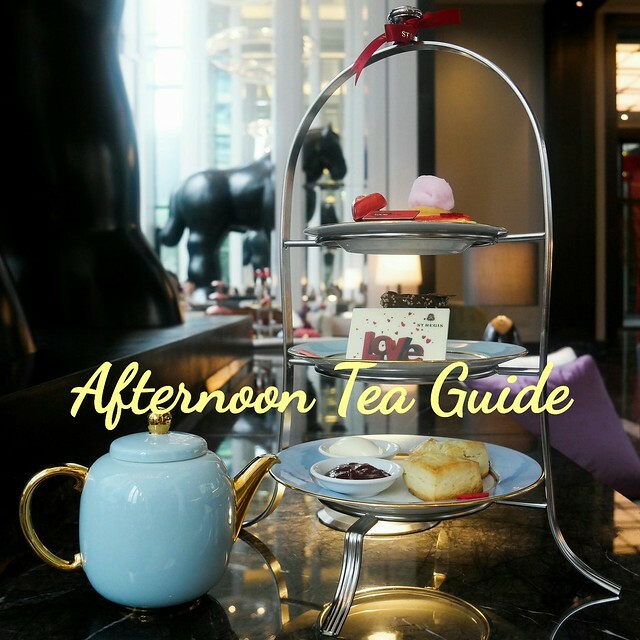 Read on my experience about this place. 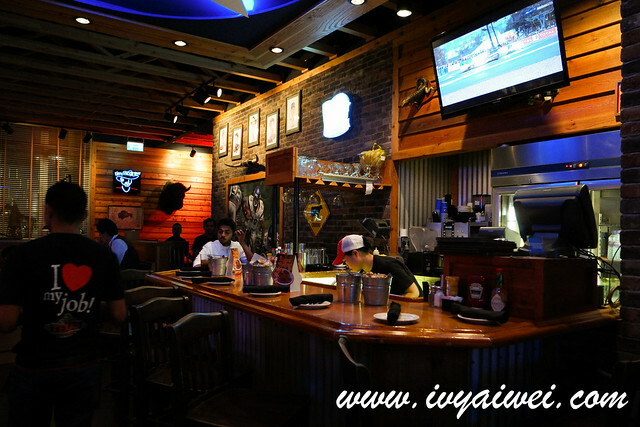 A casual dining restaurant that serves American cuisine from the best steaks and to-die-for ribs to made-from-scratch sides and fresh-baked rolls. 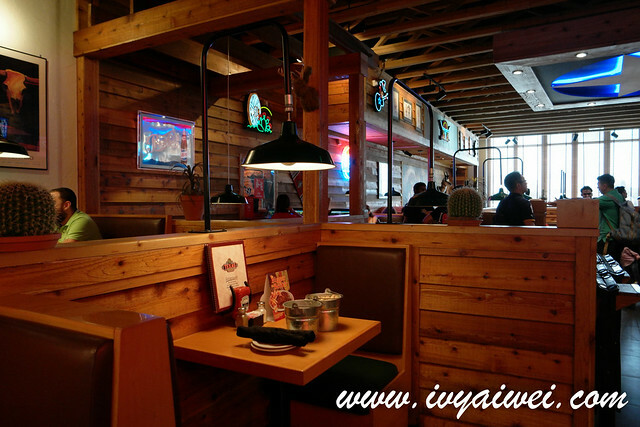 With the name Texas, you may find this place richly filled with “cowboy” atmosphere; with Texas-related-decors on the wall and in every corner of the restaurant. Love the soothing soft country song played in the restaurant. 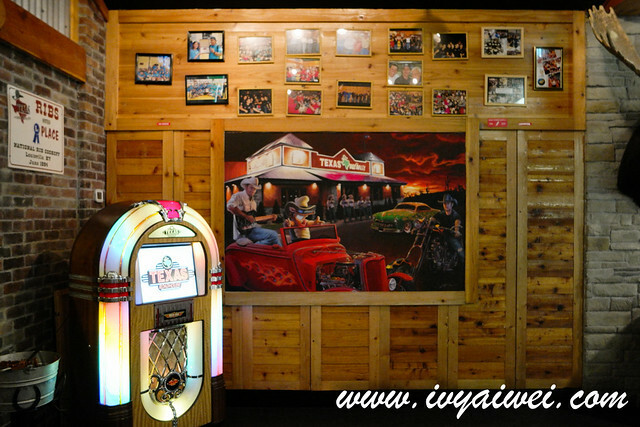 There is a vintage jukebox too, where you get to flip through the pages and choose the songs to be aired! 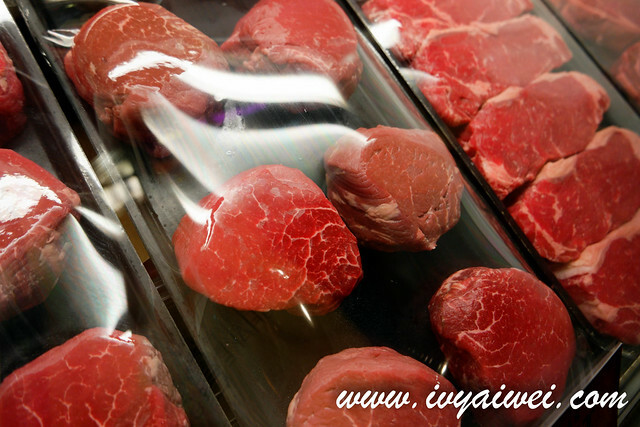 Fresh cuts of steaks at the display counter. 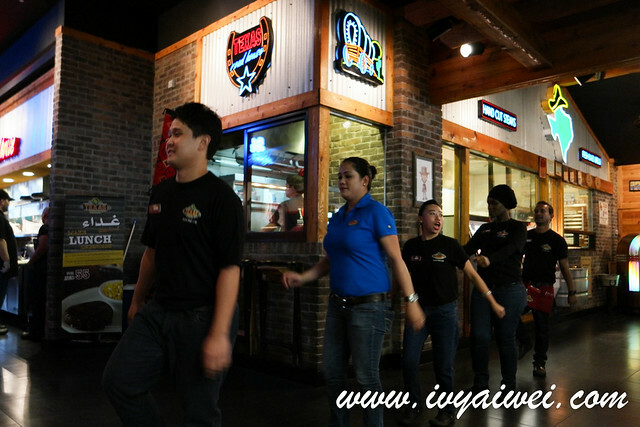 Once a while, you may see the crew/ staff lining up at the front line performing the special dance to entertain the audience. Clap along or join in if you would love to learn the dance steps from them. The dance can be a little too quiet or boring if without the cheers or interaction with the audience or just dance alone. Perhaps that was just me, my thoughts. Complementary fresh-baked rolls; baked every 5 mins to ensure fresh rolls are served to the customers. 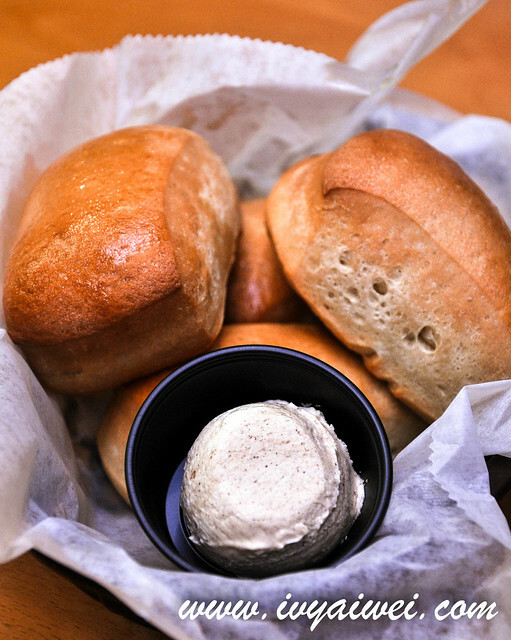 The buns were served along with the interesting honey cinnamon butter to go along with the hot fluffy buttery rolls. The cinnamon butter was very special, spiced with soft hint of cinnamon powder which was not overpowering, light but aromatic. This definitely serves as a great tummy warmer and most importantly, it’s free flow! 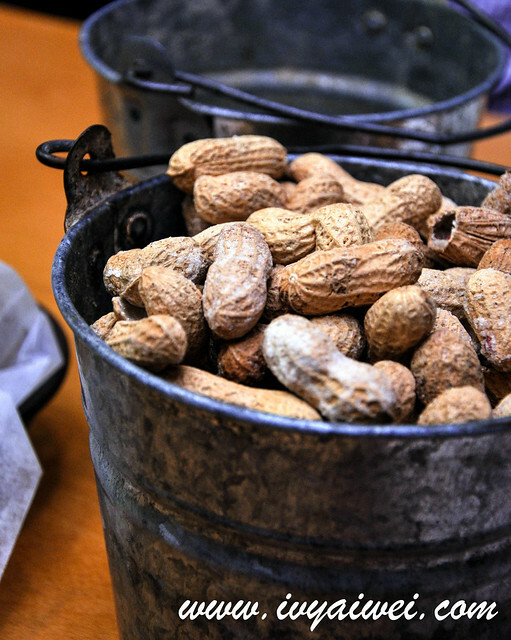 A huge pot of complementary bucket of peanuts. It was a huge pot on every table! Happy right if there is a glass or 2 to go with the aromatic huge peanuts that smell so great and taste like peanut butter. It was very addictive that I kept popping and munching on them. 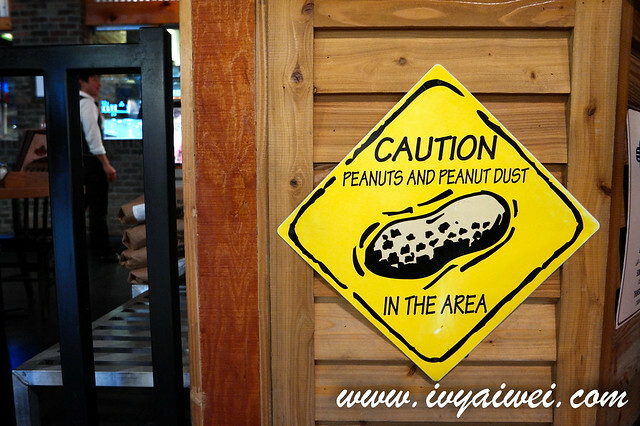 I was told that they have a culture of throwing the peanut shells after consuming the peanuts onto the floor back in the state. However, this is not practiced in Dubai. No booze but there is also good thing to go with the peanuts/ground nuts. 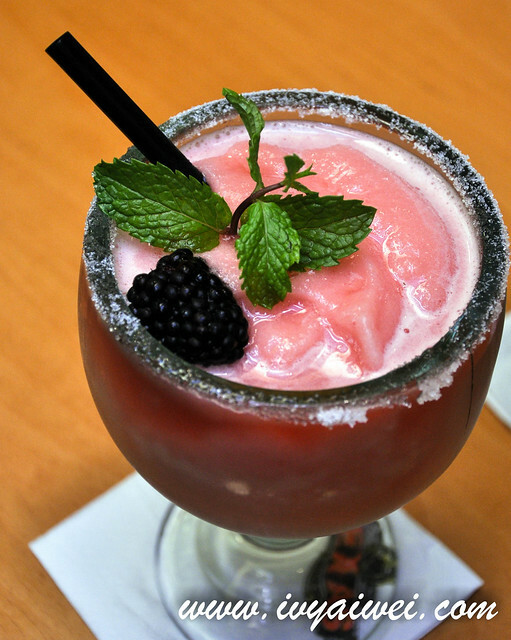 Margaritas (AED 22 each) – Original House Lime and Cherry Blossom which was really huge and pretty value for money. 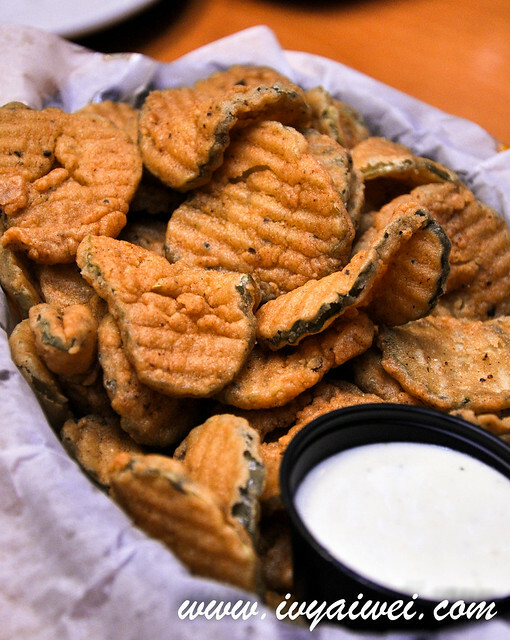 A heaping basket of pickle chips hand-battered and lightly fried, served along with ranch dressing. A very interesting appetized to kick start the meal. This appetizer was interesting. First time seeing pickles being deep fried and served as crispy appetizer. It was salty savoury with refreshing ranch dressing but can be pretty salty after a few crisps. Best to go with some drinks then. 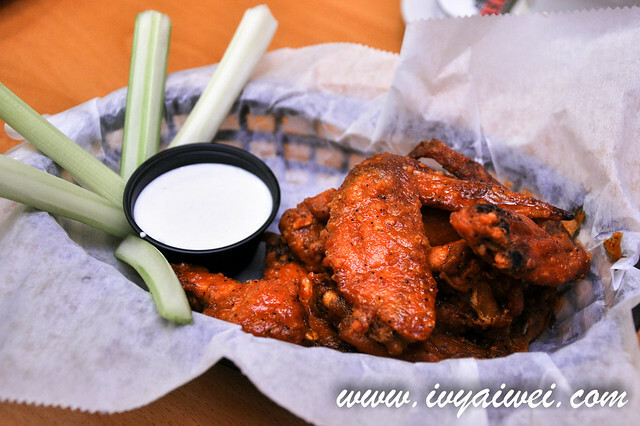 Lightly smoked chicken wings tossed in the hot chicken wing sauce; served with celery and Blue Cheese dressing. It was smokey and heavily dosed with spice. I have to say, I am not a fan of Buffalo wings as it is always sodium laden in their recipe. Good to have the celery stick with blue cheese dressing. After the Buffalo wings, just munch on the celery sticks with Blue Cheese dipping to clean off the saltiness on the palate. 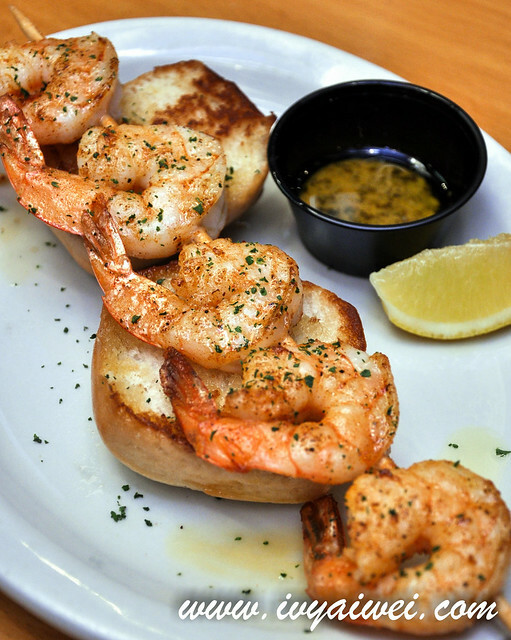 Skewer of shrimp, seasoned to perfection and drizzled with the garlic lemon pepper butter; served along with fragrant toasted bun. The shrimps were fresh and huge; firm and bouncy too! 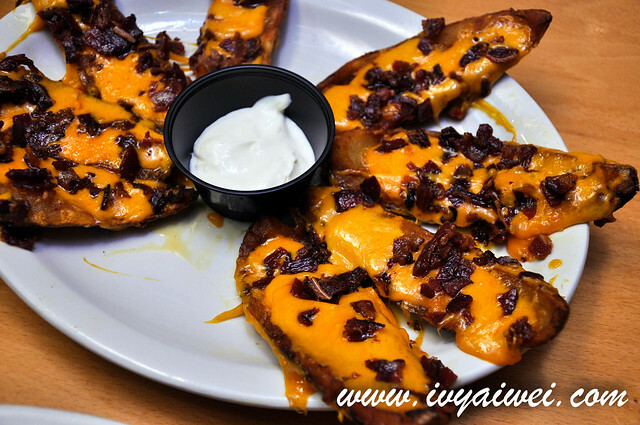 Potato skins topped with cheddar cheese, beef bacon and sour cream. Just look at the cheddar cheese topped on the potato skin, how generous!!! Spread on a stack of sour cream to neutralize the saltiness of the bacon bits and cheesy cheddar. It was pretty yummy and good for sharing! Flavourful juicy cut of steak with pretty marble. We had the temperature on medium rare but it came out with slightly towards medium at the corner of the steak; but good at the center. 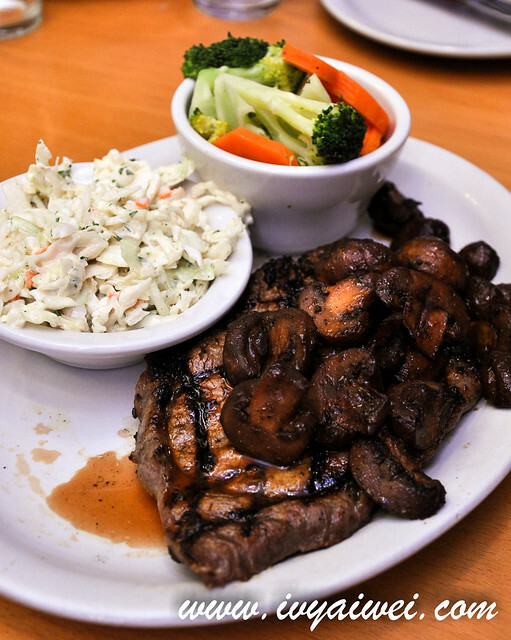 It was fine to me and there was this soft pink-reddish hues on the centre part of the steak. Succulent and tender but it was slightly on the saltier side. I need the help of the honey glazed carrots (a side dish) in order to neutralise the taste buds. Still good still good. Love my protein this way. It was served along with sides of coleslaw and vegetables for this order. 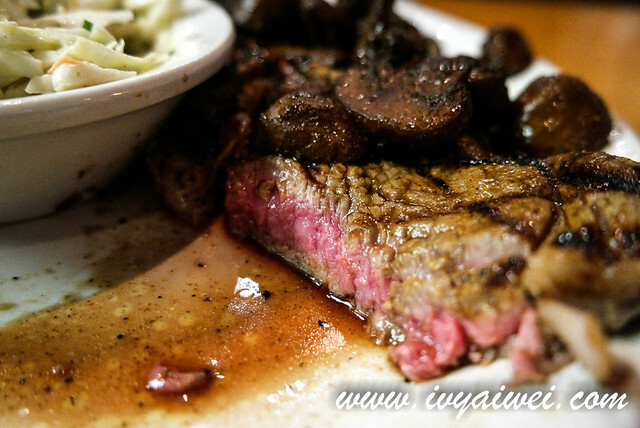 They offer quite a number of made-from-scratch side dishes which include baked potato, mashed potatoes, steak fries, seasoned rice, house salad, fresh vegetables, buttered corn, Caesar salad, soup… of those I have tried out, they are exceeded my expectation. Another signature dish. 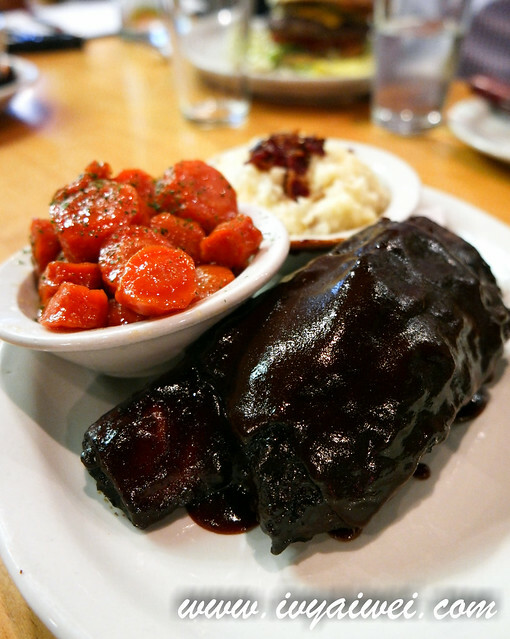 The “blue ribbon” fall-off-the-bone ribs are slowed cooked with a unique blend of seasonings and the house’s signature BBQ sauce. 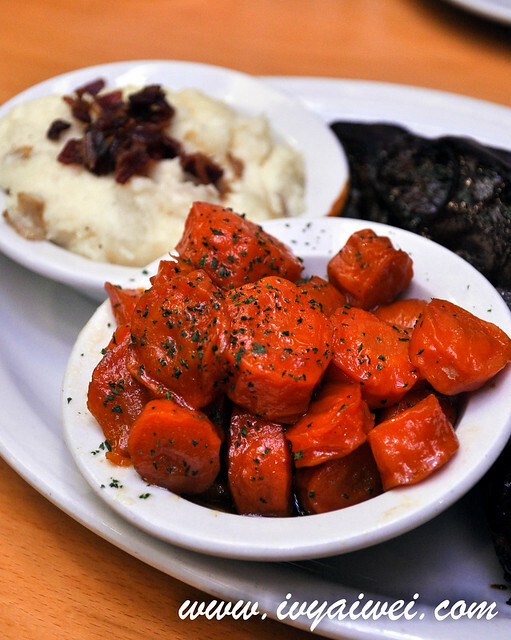 Served with sides of honey glazed carrots and mashed potatoes with fragrant bacon bits. 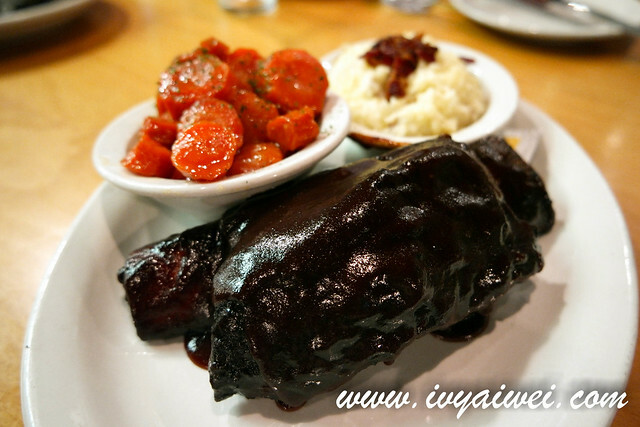 The meat itself was tender, juicy and flavourful; thickly coated with the BBQ sauce which was not overpowering. Indeed a lip-smacking good dish. Good for sharing too as it was pretty huge for the rib (even though it was just the half portion). Guess everything in Texas is well-known for large serving which is worth the hard-earned money spent. 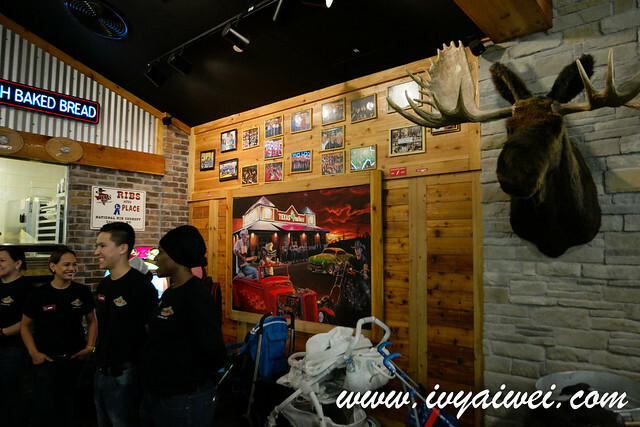 Given the ambiance and services provided, it was a very cosy restaurant that you actually get the warm and friendliest service from the crew/staff. I love the fact that the waiter will actually ask you to cut through the steak and check if the temperature is done right. They will offer you for a change if it is not done at your right temperature. 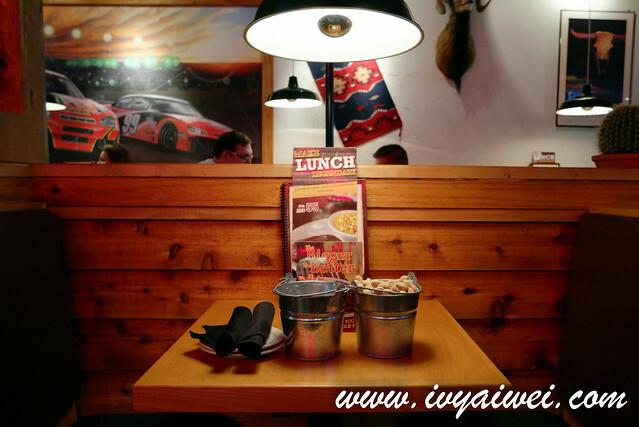 Texas Roadhouse, please come to Malaysia. 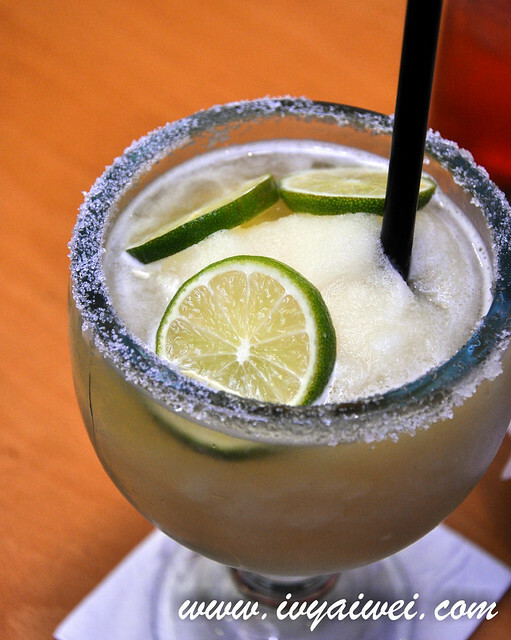 This is definitely one of my pick for after working hour’s chills or gathering.